In the not too distant future, your body may be reduced to a string of 1s and 0s. Your genome will be sequenced; the bacterial demography of your gut polled, your steps tracked, your calories counted, and your brainwaves monitored. All this will be digitally analyzed and stored somewhere “out there” on a bank of servers. Your health will depend on which information you surrender in return for the ability to diagnose and defeat cancer at stage 0, knock out genetic conditions, preempt diabetes or heart disease—even become more self aware to improve your mood. Freely sharing our most intimate health details may feel more than a little uncomfortable. Understandably so. But it doesn’t have to be that way. If radically improving our health depends on sensitive information, securing and verifying that information is just as important as gathering, analyzing, and acting on it. 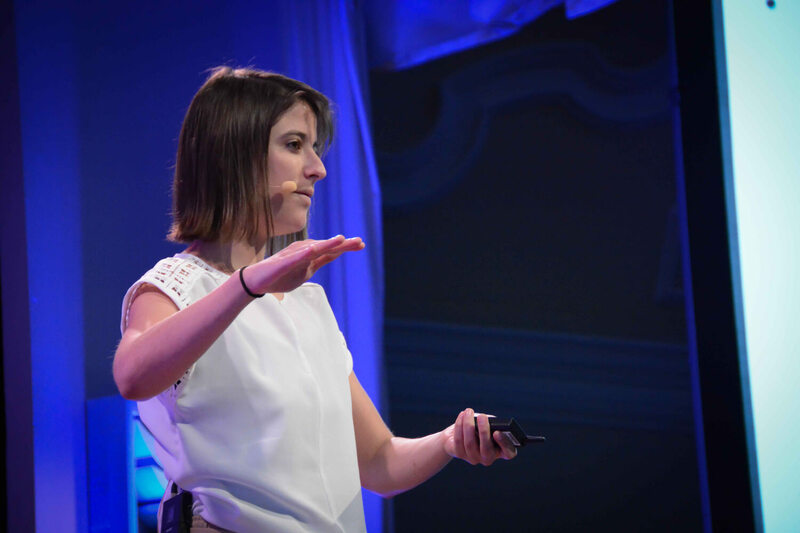 MIT Media Lab’s Chelsea Barabas, speaking at Exponential Medicine this week, suggested blockchain, Bitcoin’s backbone, may be the technology to do it (and more). Most of you probably know Bitcoin, Barabas said, but what you might not realize is that the blockchain technology securely tracking and verifying bitcoin transactions has uses beyond digital currency—beyond even just the world of finance. Blockchain is a digitally distributed ledger. That means the particulars of each transaction are verified and recorded by a vast, decentralized network of computers. This process is automatic and nearly impossible to tamper with or alter. The information recorded and verified by the blockchain can be pretty much anything we want it to be—the details of a contract or an asset, for example, or more applicably, an organ donor list or pointers to personal health data on a secure server. Barabas and her colleagues at MIT compiled a list of blockchain’s most salient features—they call them the blockchain superpowers—and suggested a few health use cases. Of course, these applications are hardly all-inclusive. They’re a taste of what’s possible. This is just the beginning, Barabas said. But the future is bright. From step trackers to smartwatches, we’ve begun recording and collecting health information with the hope we can improve our lives if only we know more. However, the raw data is stored by the maker of the app or device—and if users want to get it or share it with a doctor, they need to jump through some hoops. This makes some sense. Most of us don’t have the infrastructure to store the data ourselves, and much of the analysis needs to be done by powerful programs on cloud servers. Equally, however, it’s our information and should be easily accessible. Another issue? If hackers can breach bank servers and steal credit card information, you can be sure they’ll be able to grab your health data too. Barabas suggests we move from a system where we store our data on a number of different third party servers, to one in which we would store it on our own individual servers or perhaps pay for such a service from a single trusted third party. Modern medicine is about improving individual health—but there is no modern medicine without science. There’s never been a more exciting time for medical science. Now, a study of a few hundred patients is considered high quality. But soon millions of people will record their health data every day, hour, or even to the minute. To ensure privacy, current best practice is to anonymize the information by stripping it of identifying information. This can compromise the quality of the data. With blockchain, we can use it in its entirety and keep it anonymous. From government to health records, critical information is often imprisoned in old systems that don’t talk to each other. A blockchain system for public records might unify sensitive information without sacrificing security or authenticity. Barabas used the example of organ donors. If an out-of-state patient isn’t carrying a drivers license—listing if they’re an organ donor—doctors have to manually search several sources to figure out donor status. Because the transplant window is very narrow, if the doctor can’t confirm if you’re a donor, it’s a lost opportunity. Trust is crucial in healthcare. Barabas said counterfeit drugs are a significant problem globally, killing an estimated one million people a year. The challenge? It’s really hard to track pharaceuticals throughout the supply chain. In the last year, several companies have begun working with pharmaceutical companies to assign every batch of drugs a unique ID registered in the blockchain. This makes it an “asset” whose transactions can be recorded throughout the supply chain. “[Now] there’s a very clear cryptographically secured audit trail that [consumers] can look up and verify that the drug is, in fact, real,” Barabas said.